The brand is the essence of any business – it reflects the beliefs, values, practices, and the intended audience in both obvious and subtle ways. Your brand influences the viewer, and redesigning a brand requires strict attention to the many pieces already integrated into the identity of the business, especially those that are already working to the brand’s benefit. Think of a marble sculpture – an expert sculptor has their vision in mind before they ever pick up the chisel to begin carving. They must be constantly aware that they are working with a fragile material, as to strike too hard, or to remove any piece without precision could ruin the work instantly. The marble stone as a cube slab is the original brand – it may be a beautiful block; however, if it lacks detail and finesse in its creation, then it is simply an unshaped cube. Our team of designers are sculptors, and their hand is guided by the commissioner – our client. We are in constant communication with our clients during the design process, and we provide numerous options and styles before beginning the sculpting process. The finished sculpture is the end product of our entire process, and it is designed from the ground up to reflect the vision of the commissioner, our client, while simultaneously appealing to the targeted audience, the demographic. It begins with an initial consultation. We want, and need, to know our client’s business inside and out. To this end, we talk through questionnaires that are designed to reveal the identity of your business, often times revealing an identity you weren’t already entirely aware of, one that is closer to the reality of your business. We pinpoint areas of the existing brand that are considered essential, and reuse these points in our creative process. 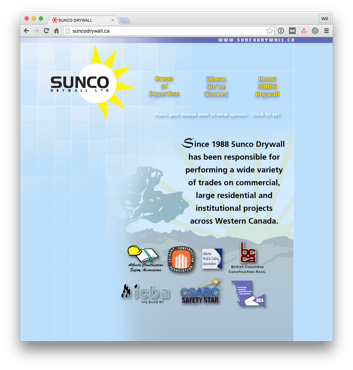 We will be using the above example from our redesign of Sunco Drywall Ltd. in our explanation here. Why is the Brand So Important? Your brand is seen by everything and everyone your business touches. From the online marketing – website, social media, articles – to the printed materials – letterhead, graphics, clothing, business cards and invoices – your brand will be centre stage in the presentation of your work. All of these elements need to accurately and authentically reflect your company, but you cannot understate the importance of appeal! Knowing your audience, and who you are marketing to, frames the discussion around the construction of your brand, and therefore how to appeal to your audience. In the case of Sunco, their previous brand put unneeded limitations on their expected capabilities. Their brand strategy in no way reflected the scope of their work, nor the scale of their existing projects. Your brand is a sip of what is to come, so we transitioned Sunco from boxed wine to champagne. The new designs are being used on everything from the helmets the staff wear to the proposals they send to potential clients. 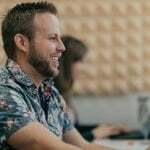 This new brand strategy is focused on converting leads to clients, with constant regard for their unprecedented successes, past and present. During our consultation with our client, we collaborated to identify a clear marketing strategy. Some of the questions we discussed included: who their target audience is, how to appeal to that audience, and how we will go about transitioning to a new brand and design. Sunco identified the sun in their existing logo as emblematic of their business, an integral part of their brand identity. The parallels between the old and new logo are immediately apparent, but our expert sculptors took liberty in modernizing the logo without simplifying, reducing, or altogether changing it from the original design at the client’s request. Of course, before any of the redesigns began, we provided stylescapes – groups of several different images, colours, typefaces, and words meant to illicit a response in the viewer – that help to discern the aesthetic of the final materials and designs. Once we found the ideal aesthetic from the client, we move forward with fleshing out the designs in the logo, web content, and print materials. These pieces are all tied together by the stylescape, which acts as a reference point for artistic direction in all of the design aspects of our work. After the creative concept and stylescape was agreed upon with our client, we moved forward with carving the marble, crafting an appealing, responsive, SEO-friendly brand and website. The new brand for Sunco Drywall Ltd. is intended to speak to their target demographic – project managers and builders of large-scale constructions. The stylescape we decided on was intended to evoke a response of bold, modern, professional and sincerity. Sunco had already amassed a large collection of professional photographs highlighting their successes in Western Canada. 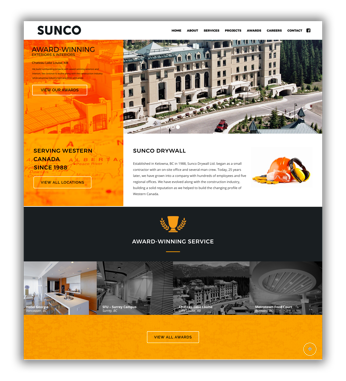 From Simon Fraser University to the Chateau at Lake Louise, Sunco has demonstrated their capabilities through the many building projects they have worked on, yet these accomplishments were nowhere to be seen on their original website. We incorporated these images into a gallery that allows viewers to see the existing work of Sunco. 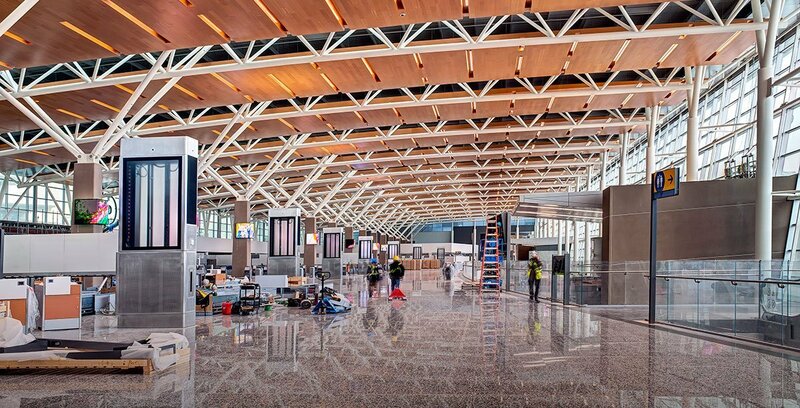 This “projects” page serves a dual purpose of showcasing their talents as builders, and inviting new clients to take the next step, converting visitors to customers. We were delighted to have a treasure trove of useful content, but we are always prepared to create our own media on behalf of our clients. With in-house photographers and videographers, Hiilite will produce media that presents the best of any establishment to its future clientele. Having content such as this on-hand to fill out a website is essential. 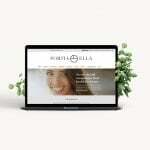 It gives visitors a glimpse into the products and services you provide, making your site more personal, relatable, and enjoyable to experience overall. Finally, it is time to launch! After finalizing our designs, and addressing any concerns or changes Sunco Drywall Ltd. had requested, we were ready to push out the finished brand. Sunco was provided with a Brand Identity guide outlining the proper usage of their new brand, along with its specific colours, typefaces and orientation to be referenced and used in order to maintain brand consistency for years to come. Our guide goes into detail, providing everything the company could require to reproduce their brand to exact specifications, be it online or in print. Unveiling our masterpiece, the entirety of Sunco’s new brand, was a step forward for their company. Moving forward, Sunco has every piece they need to market and represent their brand with true distinction. Altogether, the new brand speaks to what Sunco does, how they do it, and the level at which they perform. These are necessary attributes for a brand, and must align with the company – past, future, and present. With the help of the marble carvers at Hiilite, Sunco Drywall Ltd. has moved beyond the box that once confined their company, into a new high-rise with an ocean view. 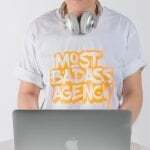 Is your brand ready for a jolt of creative juice? Is the foundation beginning to crumble? Let Hiilite build you up to the top floor, from the mortar to the furnishings, and start converting visitors to buyers! Contact Hiilite for a marvellous group of marketing masters!